How Will Xerox Global Print Drivers Simplify Workflows and Make Life Easier for Users? Until recently, deploying and managing print devices on a corporate network was tough work. Not only do different printers use different drivers, but device-specific drivers can't respond to the needs of users in a unified, coherent way. In a traditional print driver network, every single device has its own driver. The diverse output requirements and individual capabilities mean that every device in the print fleet essentially needs to be taken out of context for any meaningful update or administrative work to occur. Some devices connect directly to the corporate network. Others connect via USB to employee workstations. What works with one device may not work with another. This may be enough for an enterprise to manage its day-to-day workflows, but what happens when you want to migrate to a new technology platform? Fragmented "one driver, one printer" administrative models don't just affect migrations, however. Disaster recovery and business continuity can easily be compromised under this ad hoc system. Mobile employees have an even harder time getting prints made because they have to identify and install drivers or ask nearby employees for a "print favor." The additional staffing requirements make the traditional system a major drain on company resources. In the end, your IT team ends up spending more time, energy, and money managing your print fleet than it really needs to. Xerox Global Print Drivers solves this problem. What is Xerox Global Print Driver? 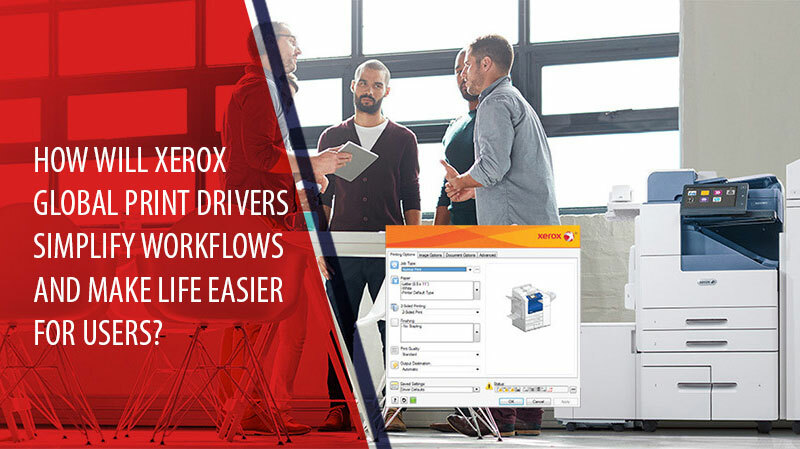 Xerox Global Print Driver is a bona fide universal driver platform for Windows that supports all networked imaging devices – both those manufactured by Xerox and those made by other companies. While the concept is not new, older universal print drivers provide little to no support for other manufacturers' devices, which leads to increased maintenance and IT costs. For instance, it is technically possible to use an earlier, proprietary universal print driver in your corporate network. But you may find that it doesn't allow access to the full features and capabilities of every device, such as advanced color management or print quality settings. Moreover, universal print drivers rarely offer support for mobile users. In today's mobile-first workplace, this can be a deal-breaker for enterprises that need rapid deployment of print resources available on-demand – but managing a mobile-oriented workforce requires a powerful and secure print driver platform. The latest iteration of Xerox Global Print Drivers is built on XPS driver components, designed specifically for Microsoft operating systems. It permits printing to any standards-compliant PostScript, PCL5, or PCL6 device. This print driver is the basis for traditional, universal, and mobile print drivers under a single underlying framework. Using Xerox Driver Platforms for Windows, users can control and administrate Xerox WorkCentre, VersaLink, AltaLink, and other devices from any version of Windows from Windows 7 to Windows Server 2016. By giving every printer on your network a consistent interface, the employee learning curve for print-dependent processes is significantly lowered. Using this technology, a single user can access any printer on your network without having to worry about the specifics of its interface. Every feature is represented consistently and every button is in its appropriate place on every interface. Does Xerox Global Print Driver V4 Support Custom Printer Settings? Yes. Not only does the Global Print Driver make life easier for users by allowing for simplified device management and administration, but it also allows IT managers to deploy global printer configurations to individual devices in a streamlined manner. Additionally, individual users can configure their own application-specific printer settings and apply them to any printer on the fleet. This removes any effective barrier between using specific devices in an office environment. The platform supports advanced settings for virtually every Xerox printer and multifunctional device, and almost every non-Xerox device that supports Windows PostScript or PCL5/6 implementation. This puts most professional-quality multifunctional devices squarely in the reach of the Global Print Driver platform, allowing advanced customization for Xerox and non-Xerox devices alike. Xerox Global Print Driver makes it easy to replace printers in a corporate print fleet. The process has been pared down to one-touch plug-and-play functionality. After removing the old device and installing your new one, all you have to do is assign the old device's IP address to the new device. The network platform will take care of the rest, performing the qualification and verification necessary to ensure streamlined productivity. The Xerox Global Print Driver supports pull print workflows and will remain forward compatible with all future Xerox products. The days of complicated, expensive print fleet management are behind you. Are you ready to add the Xerox Global Print Driver to your workplace? Talk to an expert to find out more about how this technology works.